For many years the two saintly brothers, Rabbi Elimelech of Lizensk and Rabbi Zusha of Anipoli, wandered the back roads of Galicia. Disguised as simple beggars, they journeyed from town to town and from village to village, refining their souls with the travails of exile and inspiring their brethren with words of wisdom and encouragement. Late one evening, the brothers arrived in the town of Lodmir. Seeing a lighted window in a large, well-appointed home, they knocked on the door and asked for a place to stay the night. "I don't run a hotel," was the irate response of its large, well-appointed resident. "There's a poorhouse near the synagogue for wandering beggars. I'm sure you'll have no trouble finding accommodations there." The heavy door all but slammed in their faces, and Rabbi Elimelech and Rabbi Zusha walked on. Soon they came upon another lighted home, whose resident, the town scribe, welcomed them in and put his humble hut and resources at their disposal. Several years later, the two brothers again visited Lodmir. This time, they were official guests of the community, which had requested that the now-famous rabbis come for a Shabbat to grace the town with their presence and teachings. At the welcoming reception held in their honor and attended by the entire town, a wealthy gentleman approached them. "Rabbis!" he announced, "the town council has granted me the honor of hosting you during your stay. G-d has been generous to me, and you'll want for nothing in my home. I've already explained to your coachman how to find my residence, though he's sure not to miss it--everyone knows where 'Reb Feivel' lives..."
The gathering dispersed, and Rabbi Elimelech and Rabbi Zusha went to pay their respects to the town rabbi and meet with the scholars in the local study hall. The rich man went home to supervise the final arrangements for the rabbis' stay. 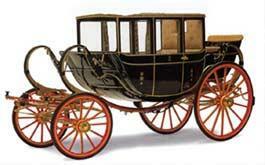 Soon the coachman arrived with the brothers' coach and luggage. The horses were placed in the stables, the luggage in the rabbis' rooms, and the coachman settled in the servants' quarters. Hours passed, but still no sign of the two visitors. Growing anxious, the host sought out their coachman. "What happened?" he asked. "When are they going to come here?" "They're not coming," said the coachman. "Rabbi Elimelech and Rabbi Zusha are staying at the scribe's home." "At the scribe's?! What are you talking about?! You're here, aren't you?" "Those were the rabbis' instructions. 'Take the horses and our luggage to Reb Feivel's,' they said to me. 'We'll be staying with the scribe.' "
Reb Feivel rushed to the scribe's hut and fairly knocked down the door. "Honored Rabbis," he cried, finding Rabbi Elimelech and Rabbi Zusha before the fire, having a cup of tea with their host. "Why have you done this to me? It was agreed that I would host you. You must tell me what I have done to deserve such humiliation!" "But you are hosting us," said Rabbi Elimelech, "at least, that part of us that you desire to host. Last time we were here, but without a coach, horses, coachman and bundles of pressed clothes, you turned us away from your door. So it is not us you want in your home, but our coachman, horses and luggage--which are currently enjoying your hospitality..."
The content on this page is produced by Chabad.org, and is copyrighted by the author, publisher and/or Chabad.org. On Motzei Shabbos, a grand siyum haRambam was held in the Holy City of Yerushalayim. Over 1,000 Jews including many prominent rabbanim and Mashpiim, and the Rishon L'Tziyon R. Mordechai Eliyahu, participated in this gathering. Gallery of pictures in full article. Chabad.info is pleased to present you with our weekly installment of pictures of the sights and events in and around our beloved Beis Chayeinu, Beis Moshiach 770.